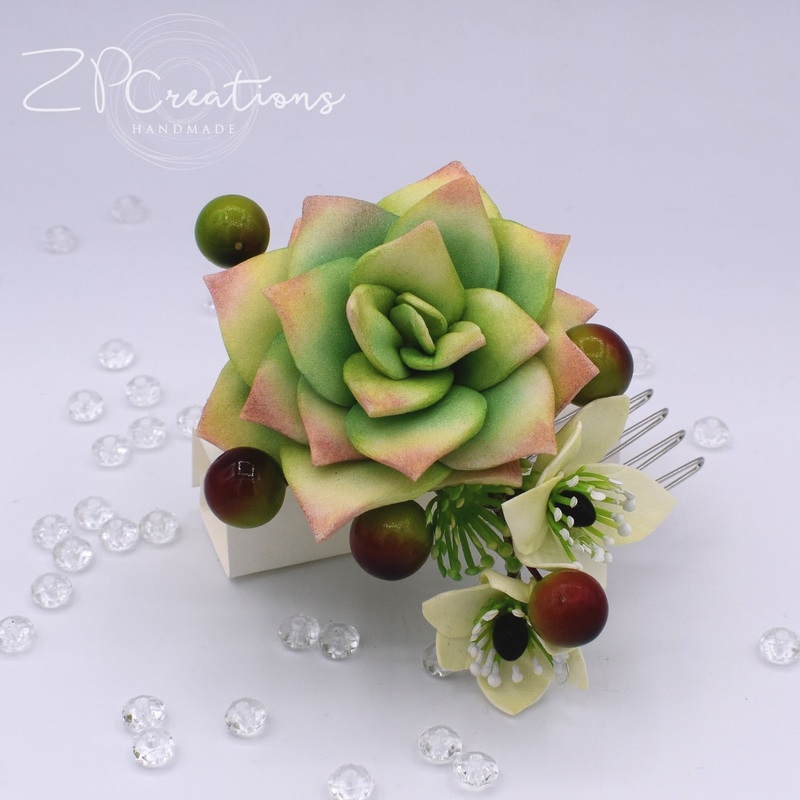 Recently succulents are having a huge moment as one of the hottest plants for wedding decor. You can see them everywhere, in the bridal bouquet , as table centerpiece, on wedding cakes, etc. As they are very versatile and sturdy plants they also have their place in wedding hairstyles. 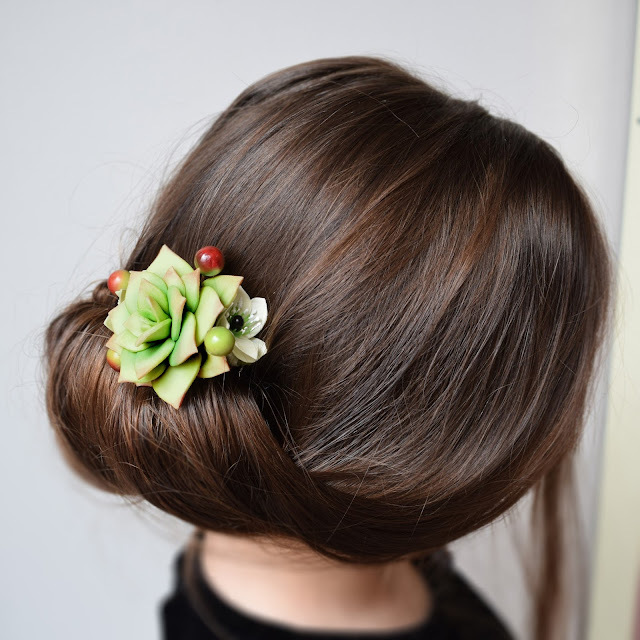 However the disadvantage of succulents is that they can be quite heavy which makes placing them in these very trendy "Boho down- dos"a bit tricky. 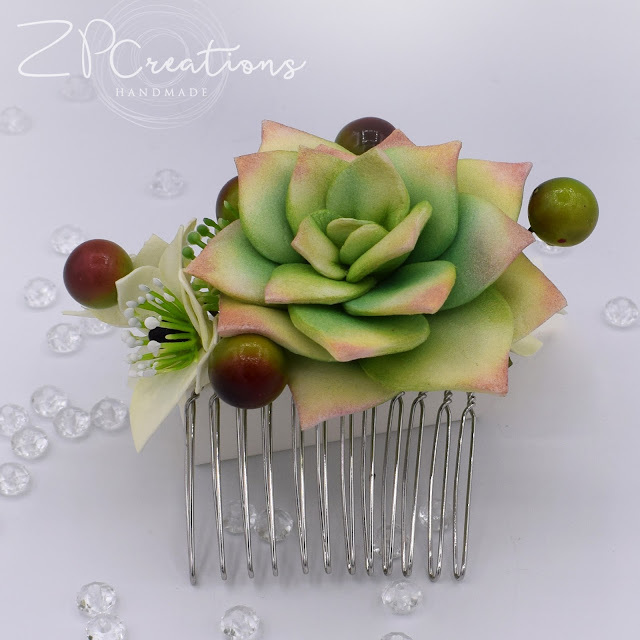 That's why I thought that a handmade foam succulent headpiece could be a good idea, as it will be feather-light. 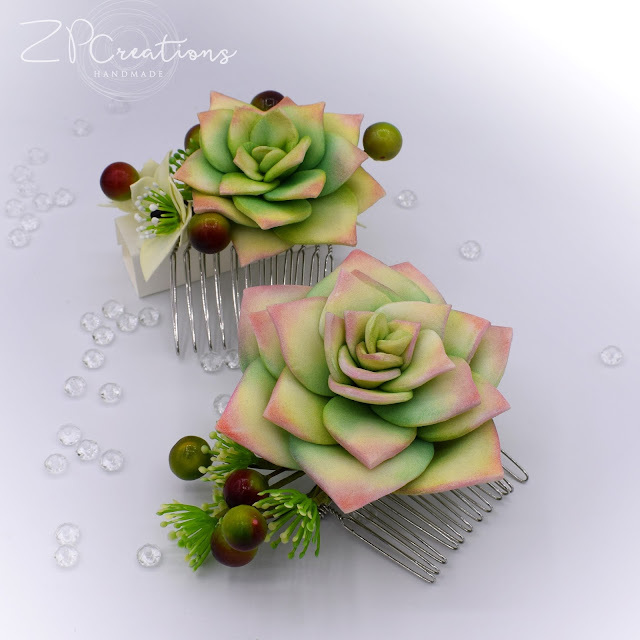 So here there are - my first handmade succulents on combs. What do you think? Materials used: Zephyr - silk foamiram, Mungyo soft oil pastels, artificial berries and stamens, florist wire and Oasis floral tape. Thank you for stopping by and have a great sunny day!